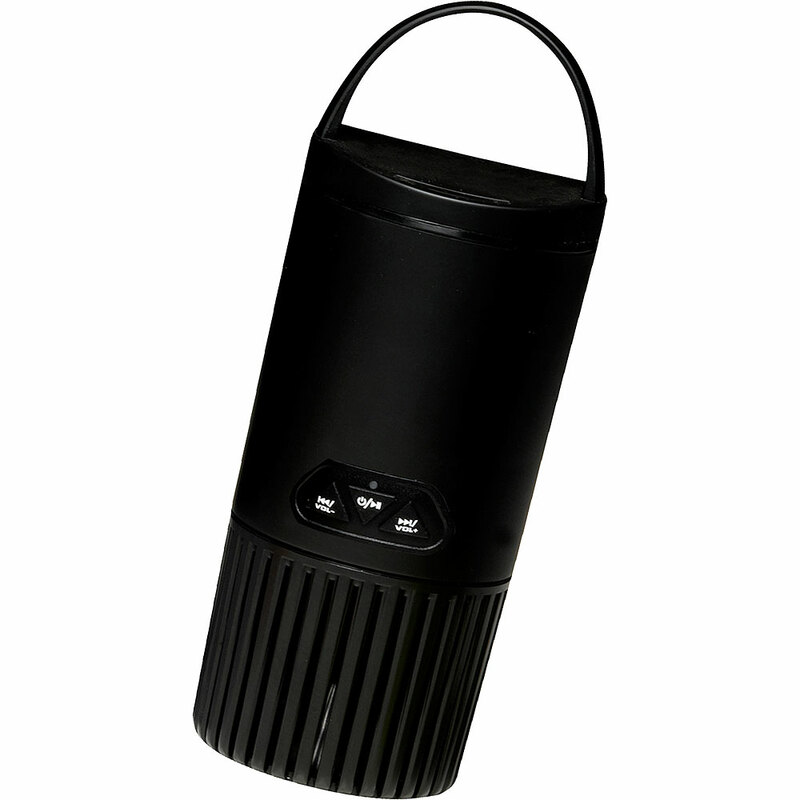 The Denver BTS-51 is a portable splash proof Bluetooth wireless speaker that simply takes 4 * AA batteries and is perfect for use anywhere, including bathroom or garden. Just pair the speaker with your Bluetooth enabled phone, laptop or tablet and play your music wirelessly through the speaker. Finished in a matt rubberised black the BTS-51 is ideal for listening to music at a BBQ or when you’re out gardening! 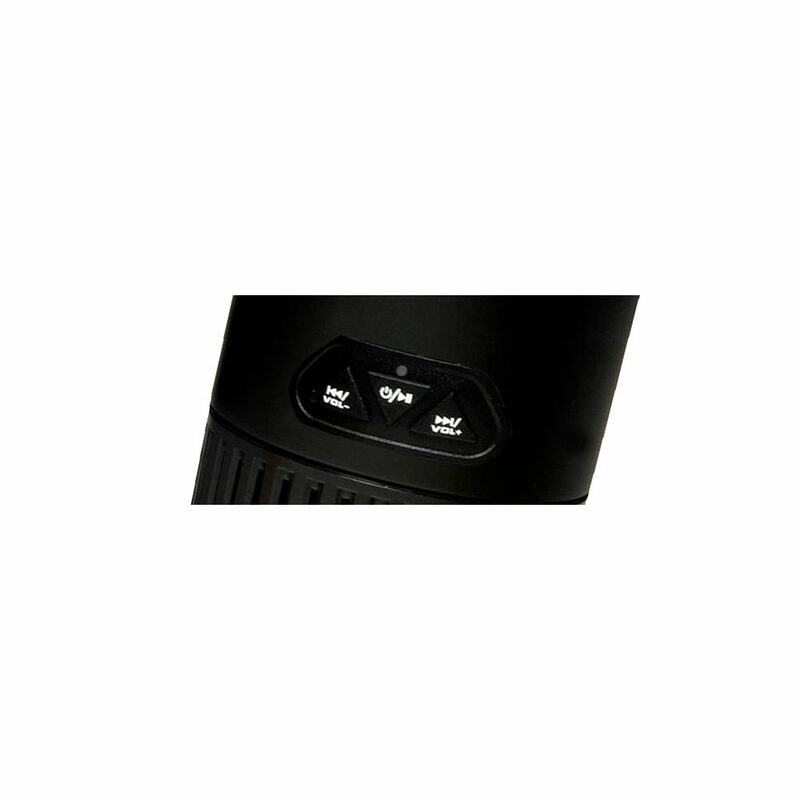 The BTS-51 is IPX4 rated, what this means is that the speaker has been tested and has passed water being splashed at the speaker from all angles and is still safe as well as continuing to operate. This means the BTS-51 is perfect for the bathroom or a garden, with no need to worry about the speaker getting splashed with rain or bathwater. Just twist the top off, pop 4 * AA batteries in and you’re ready to go. Being Bluetooth enabled to connect the speaker to your Bluetooth enabled phone, tablet or laptop just press the "pair" button on the side of the speaker, find the BTS-51 listed as a Bluetooth unit and click connect… then you’re ready for wireless audio playback. Simple and quick. With a handy carry handle built in to the top of the speaker and being wireless it’s easy & convenient to take and place the speaker where ever you want. At 8cm x 21cm tall the BTS-51 is large enough to give good quality audio and volume but small enough to remain portable. With volume + / – controls and next track / previous track controls on the BTS-51 you have all the controls at hand you need.